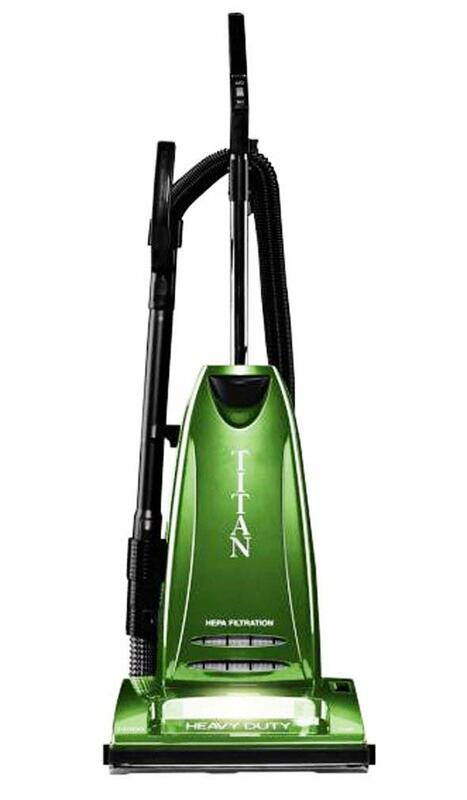 Titan T4000 is a heavy duty upright vacuum cleaner with on board tools. This durable vacuum features metal components from the handle to the bottom plate. 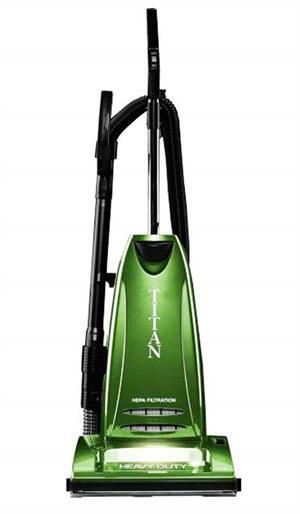 The HEPA media filter of Titan T4000 Upright Vacuum captures dust, dirt and other allergens. Features: 12 amp motor, metal brushroll, bottom plate and handle, carpet/floor selector, HEPA Filtration, telescopic metal wand, onboard tools, full wrap bumper guard, headlight, metal pivot point, 30 foot cord, 14.5 lb., 1 year warranty.